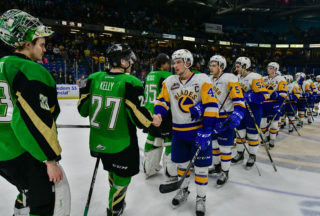 Saskatoon, SK – The Saskatoon Blades went toe-to-toe with the Brandon Wheat Kings on Friday night at SaskTel Centre outworking the visitors for the majority of the bout, but it was the Wheat Kings landing the key punches despite the Blades throwing nearly twice as many. Brandon left town with a 4-1 win, dropping the Blades record to 8-11-1-0 on the season. 16-year-old Nolan Maier made his 2nd career start in the WHL, and first at home, after being called up earlier this week. His teammates made it easy for him to settle in in the early going outshooting the Wheaties 10-2 in the first 10 minutes of the game. The opening period would end without a goal and the Blades leading 15-7 on the shot clock. The scoreless lock was broken at 10:03 of the second period. Brandon took a 1-0 lead after a stretch pass across the zone from right wing made its way across the face of goal to the left goal-post and was tipped in by Baron Thompson. The Wheat Kings struck again in the second with 2:16 left on the clock, this time on the power play. A rebound from a slap-shot was whacked in by Cole Reinhardt to make it 2-0 Brandon. 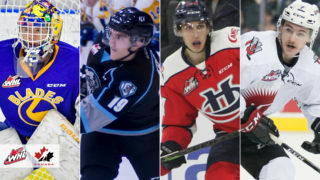 Unfortunately for the Blades, Brandon wasn’t finished with the period there as Linden McCorrister capitalized on a turnover in the Saskatoon zone to put the visitors up 3-0 after forty minutes, which likely stunned everyone in attendance since the Blades controlled most of the game and led 31-17 in shots. Needing to complete a 3 goal comeback in the final period of play, the Blades started making progress with 12:02 left in the third. Cam Hebig scored the Blades lone goal on the power play after receiving the puck at close range and tucking it backhand under the stretched out pad of Brandon’s tender Logan Thompson. A little redemption for Hebig who had a goal called back in the 2nd period that was ruled offside. 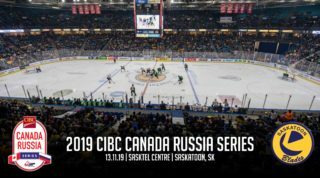 Saskatoon continued to throw everything at Thompson but couldn’t seem to shake the veteran backstop, eventually resulting in some frustration. 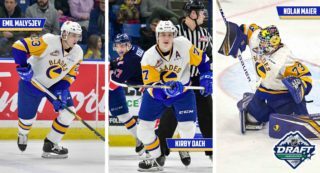 The Blades took three minor penalties in less than two minutes and that’s when Brandon took advantage to make it 4-1. The power play was a feeble 1/5 on the night while the penalty kill shut down 5/7 chances from Brandon. Nolan Maier made 21 saves on 25 shots in his SaskTel Centre debut; his counterpart and senior of 4 years at the other end stopped 42/43. 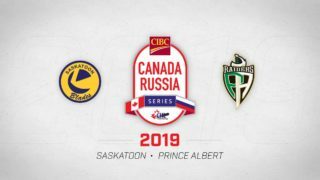 Saskatoon will have to find the same effort again tomorrow and inject some execution into their game as they head to Moose Jaw to take on the WHL’s best team in the Warriors.